The CoffeeShop Blog: CoffeeShop Fall Mini Session Photographer Template Set! CoffeeShop Fall Mini Session Photographer Template Set! I had a Facebook reader ask me to put together some fall templates (before it is too late this year!) so today I have two I wanted to share with you. Here is the link to another one. And if you want something more custom just leave a comment and I will try to get it done! You can change all of the colors (background, text, etc.) and the storyboards are layered psd files so you can add your images using clipping masks (tutorial and free action). I used these two fonts (1, 2) on the storyboards and you can download them if you don't already have them. 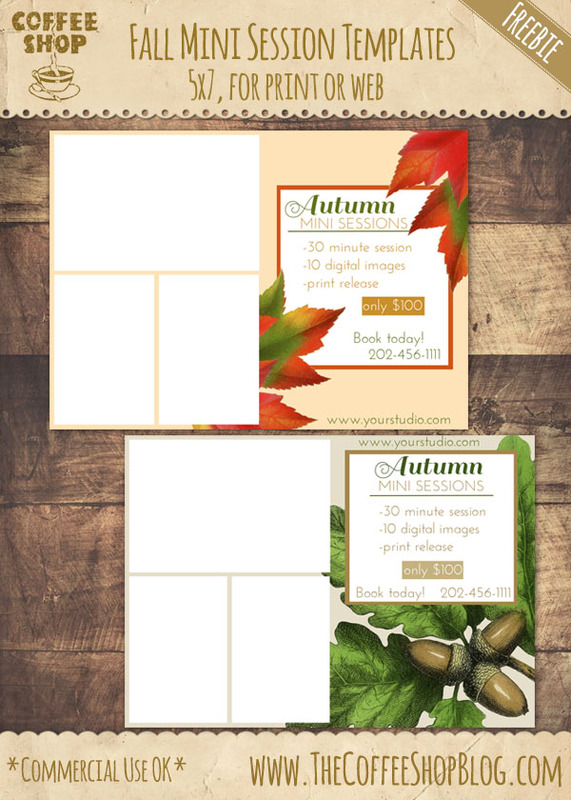 Download the CoffeeShop Fall Mini Session Template Set. You can also download it here.